Hi there :) This is going to be a bit of a mish-mash post. 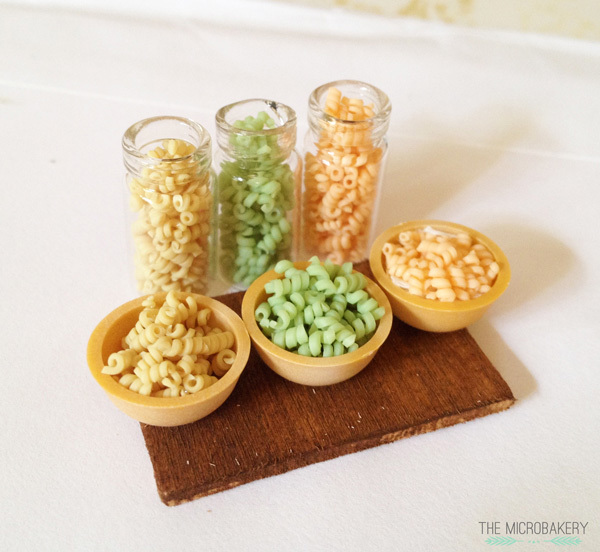 I made these pasta noodles a while ago and recently took an updated picture. I'm really not sure what I want to do with them. Maybe I'll make a pasta dish, or possibly scrap it and make new noodles that aren't so large and clunky. Hmm...not sure. I did have a few great comments on Instagram suggesting I use a larger bowl and hide the chunky noodles behind sauce. Another person also suggested I make them into curly fries! I just might try it. 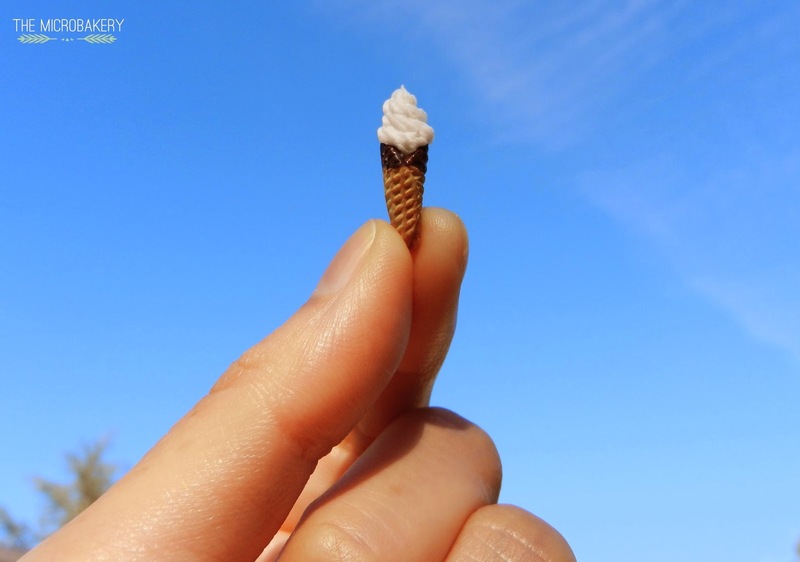 I also tried my hand at sculpting a little ice cream cone. I've made waffle cones before but never this type. 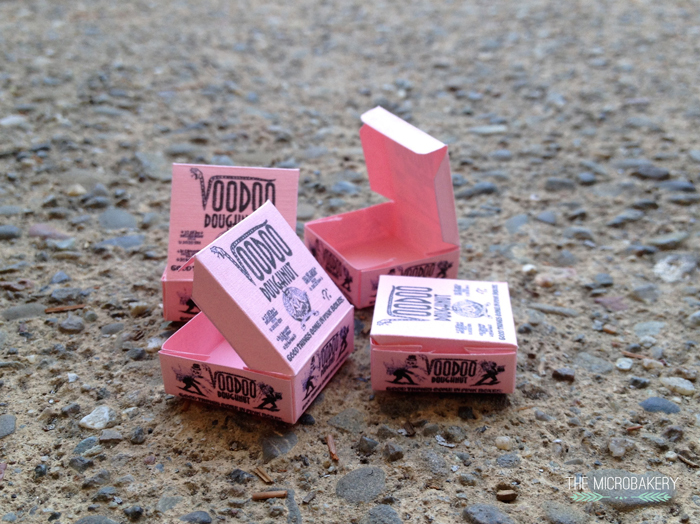 I used Sculpey Firm to sculpt it since Premo and Sculpey III were just too soft and wouldn't hold the details. 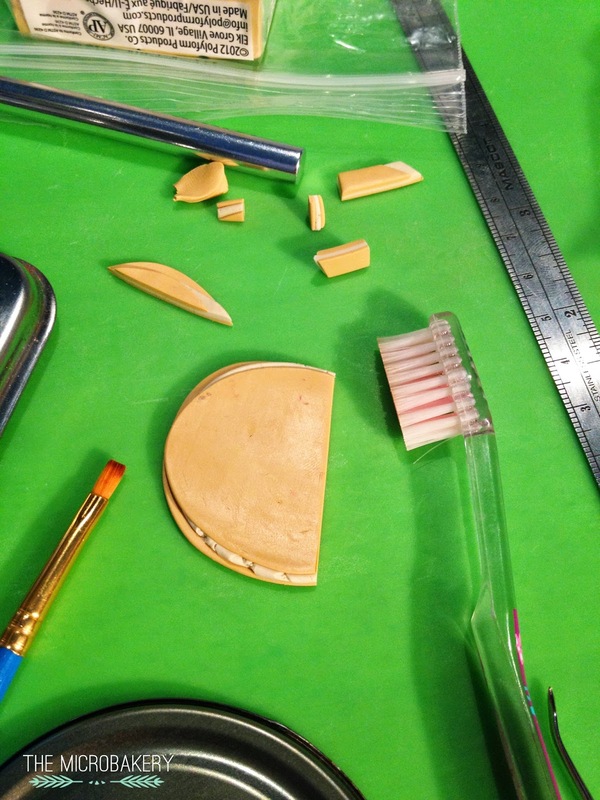 Then I tried to make a mold of it, andthat's where everything fell apart! 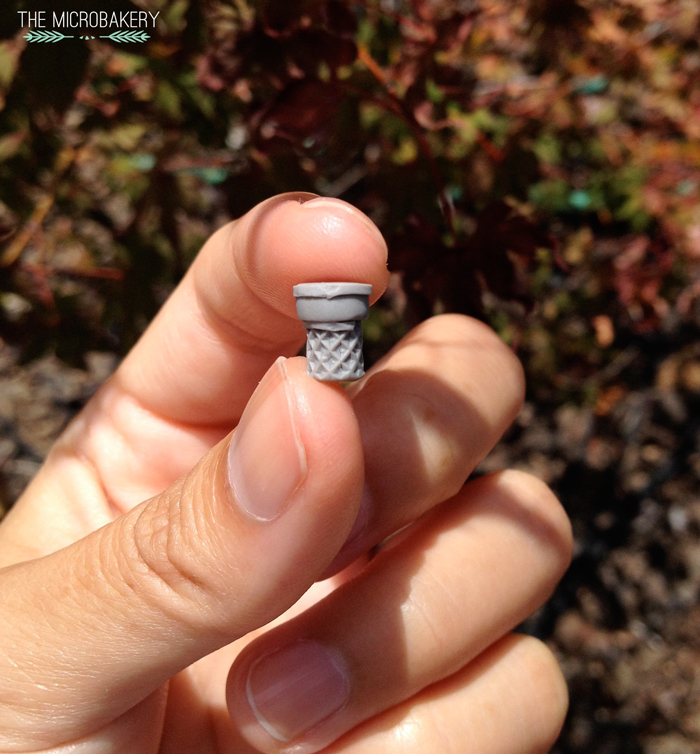 Maybe it's the type of molding material I used, but the cone details just didn't come out right. So when I put the clay in the mold and baked it, it came out all wonky and un-detailed. I guess I could hand sculpt each cone? I'll try and come up with an alternative and report back. 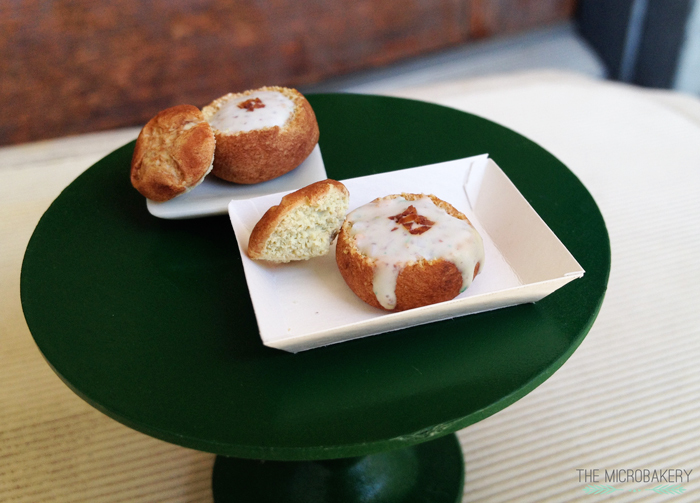 This weekend has been incredibly hot, so naturally I thought it would be perfect to make clam chowder bread bowls. Good thing it was actually miniature chowder! I first started to sculpt the round loaf and then cut the top off just like you would when making the real bread bowl. Then I made the chowder with chunks of white and beige clay (potato and clams) mixed with TLS and sprinkled with a bit of brown and green clay shavings. Finally I topped it off with a few bacon bits and baked them. The clam chowder bread bowls was a fairly fast project, so I decided to also make a few cutting boards. I got a long piece of wood from craft store and cut it up and sanded the edges. 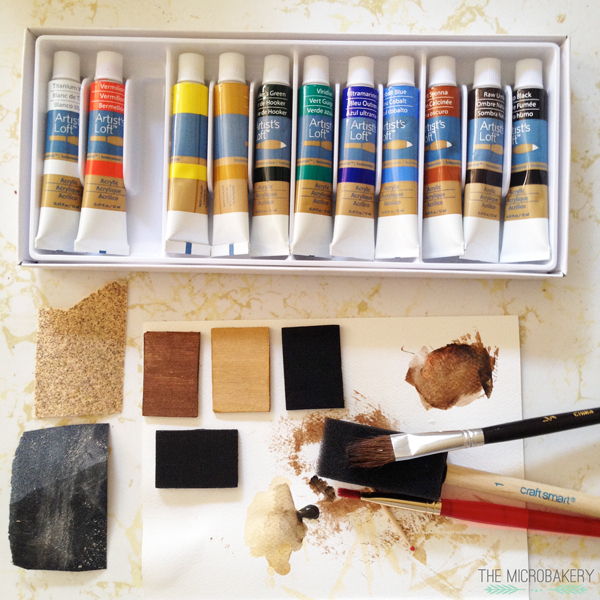 Then I used watered down acrylic paint to give the wood a stain. Next time I'll tray making different shaped boards. Tip: Don't put too much water on the wood, it will warp the wood as it dries. Exactly one month ago I created this blog! Don't worry, I'm not about to do some crazy "monthiversary" post or anything like that. 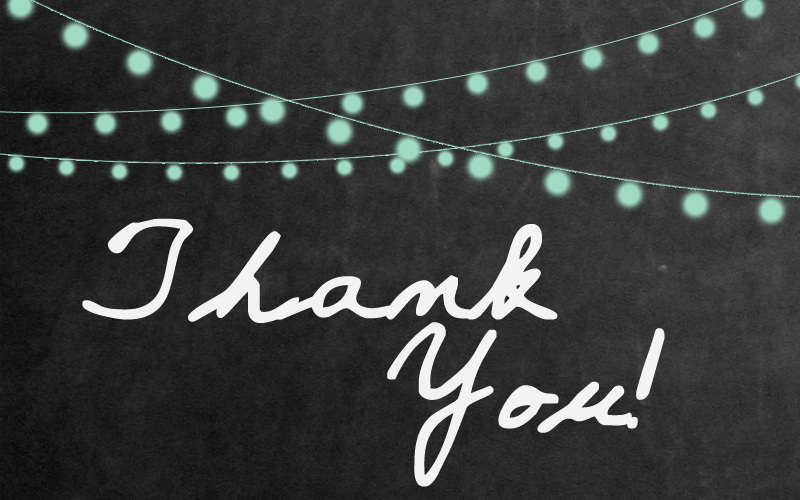 The main reason I'm writing this is to thank all of you! I'm a person of few words, but truly mean every word I say. Thank you for commenting, emailing, following me on other media sites, and reading my blog. It's so great to see all this positive feedback, and I honestly appreciate all the kind words. If any of you are hesitant to start a blog of your own, I highly encourage that you do make one. Or at least create a Deviantart so the world can see your masterpieces! I would love to see any art that you guys have created. So feel free to share your links with me in the comments. Woohoo! 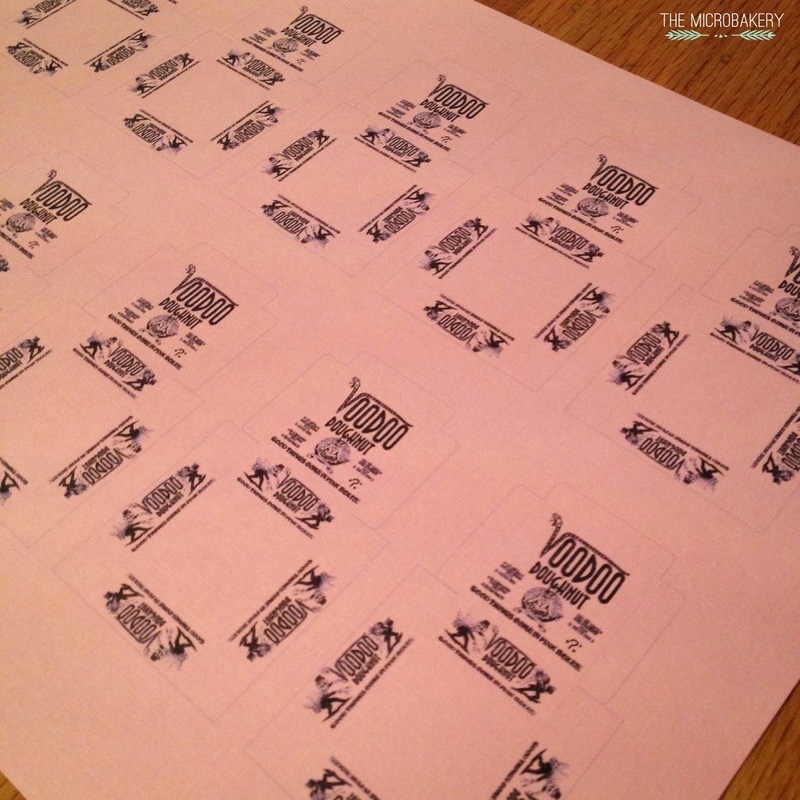 The Voodoo Doughnut project is all finished :) In case you aren't familiar with Voodoo Doughnuts, they are a well known doughnut shop in Portland, OR known for having uniquely designed doughnuts. 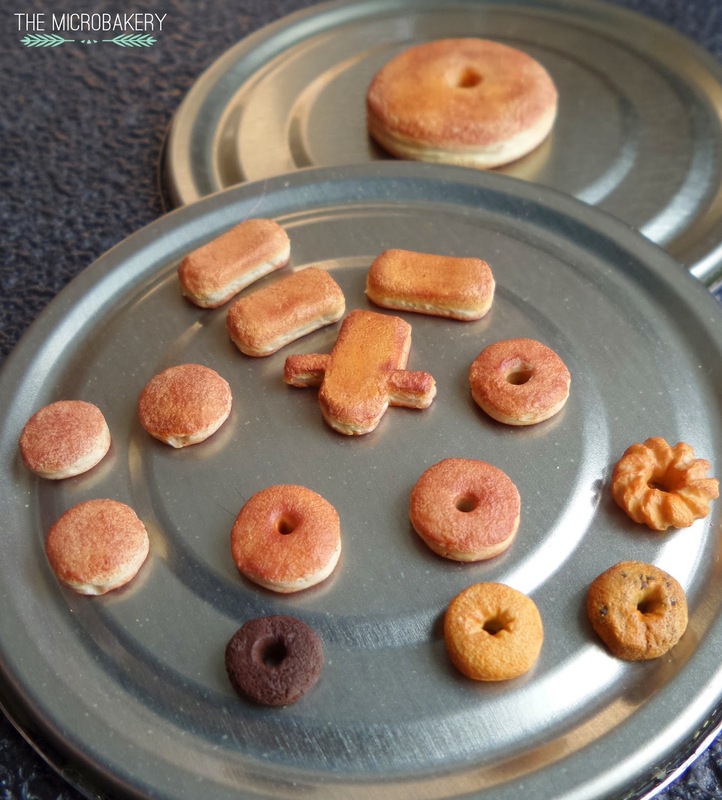 I was hard pressed to find a bit of time this week to finish making the toppings, assemble the pastry boxes, and decorating the whole doughnut. Nonetheless I'm fairly pleased with how they turned out. There are only a few issues I could nitpick, but what person isn't critical of their own work? 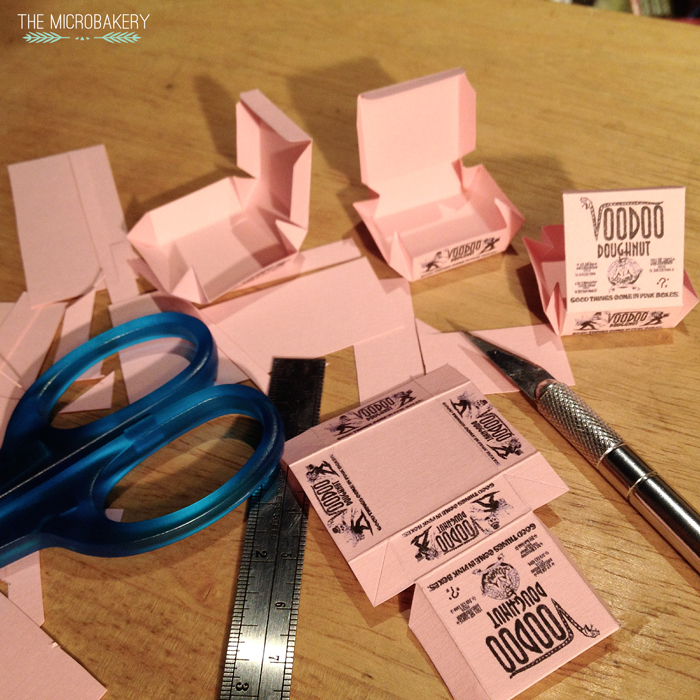 The first thing I did this week was cut, fold, and glue the famous pink boxes. It measures roughly 2.54cm x 2.54cm. x 1cm (LxWxH). It took a while to create the box template from scratch since I had to reference photos online and then find clear images I could use. Once I did that I brought the photos into Photoshop, tinkered with it a bit, and then created the template. I hope you enjoyed this short little series! P.S. 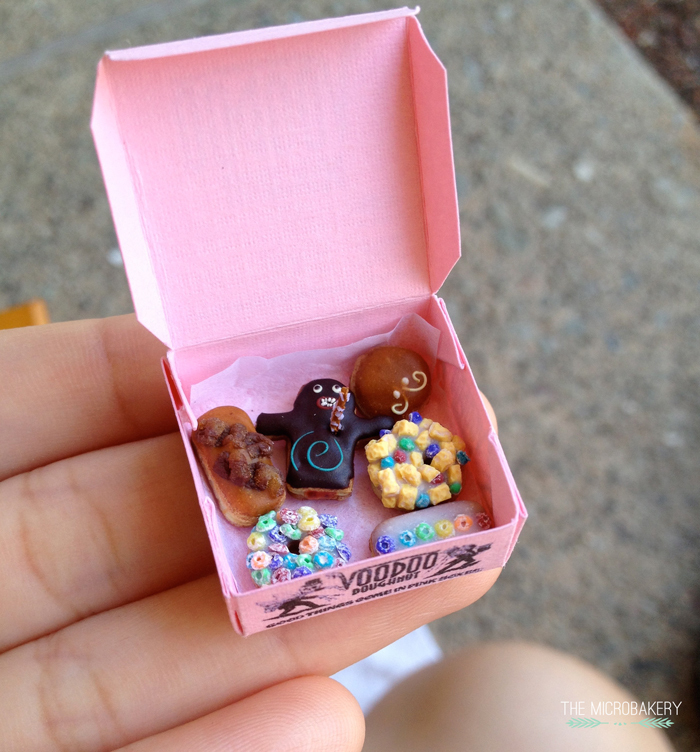 If you like the content I have provided and decide to make your own version of some Voodoo Doughnuts (or any doughnut for that matter), feel free to share them with me! 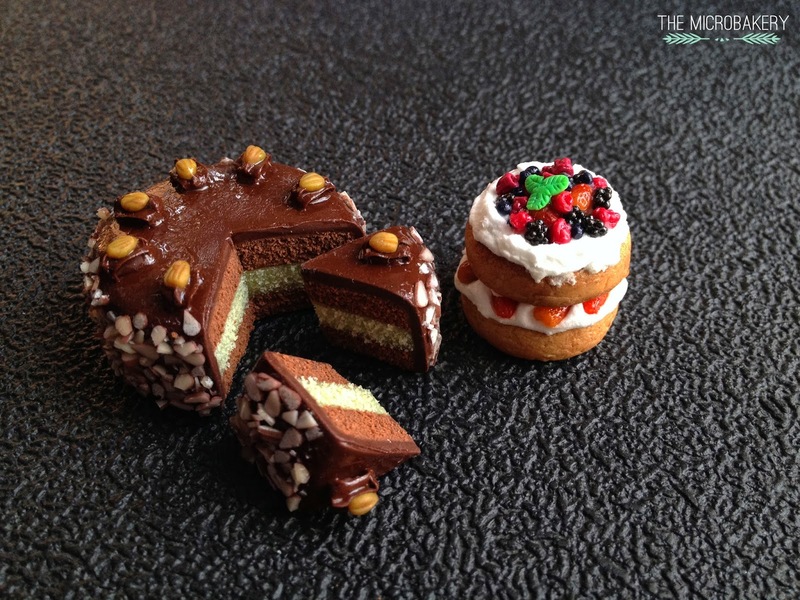 Tag me (@TheMicrobakery) on your Instagram photo so I can see your awesome treats. 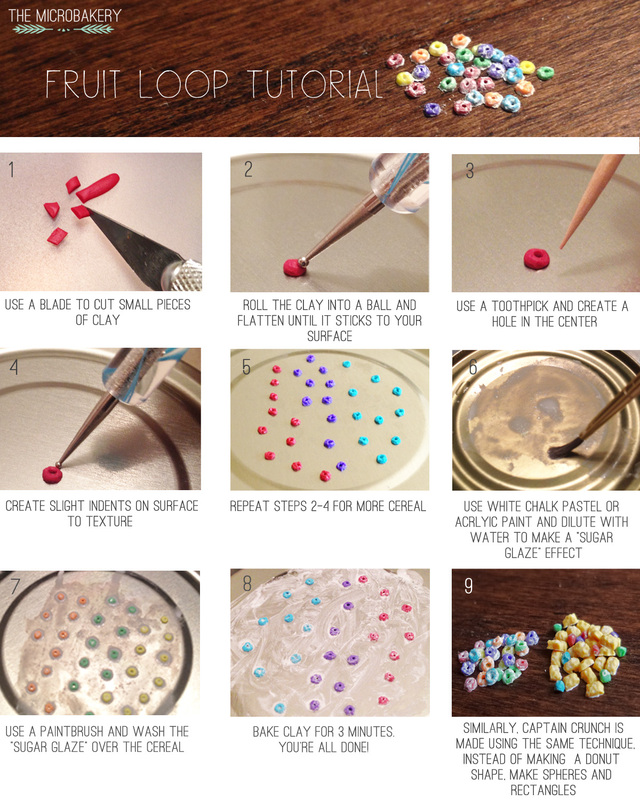 I promised a Fruit Loop tutorial, and here it is! :) This is the first tutorial I've ever made, so if you see something wrong with it or need clarification, don't hesitate to leave it in the comments. 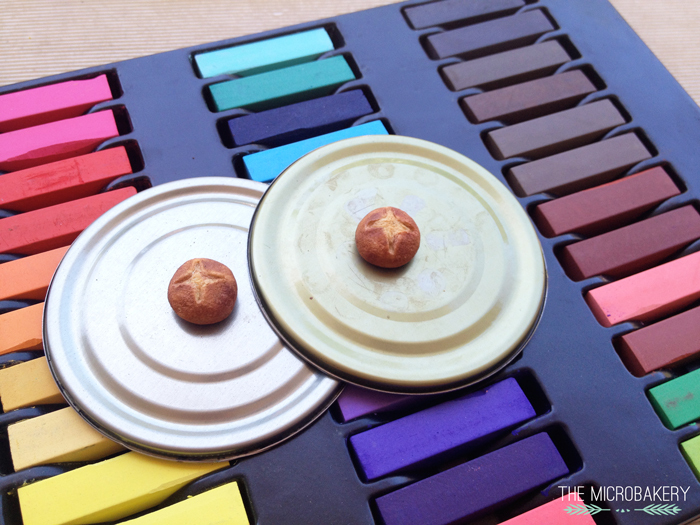 If you decide to follow this tutorial, be sure to share some photos of your masterpieces with me. 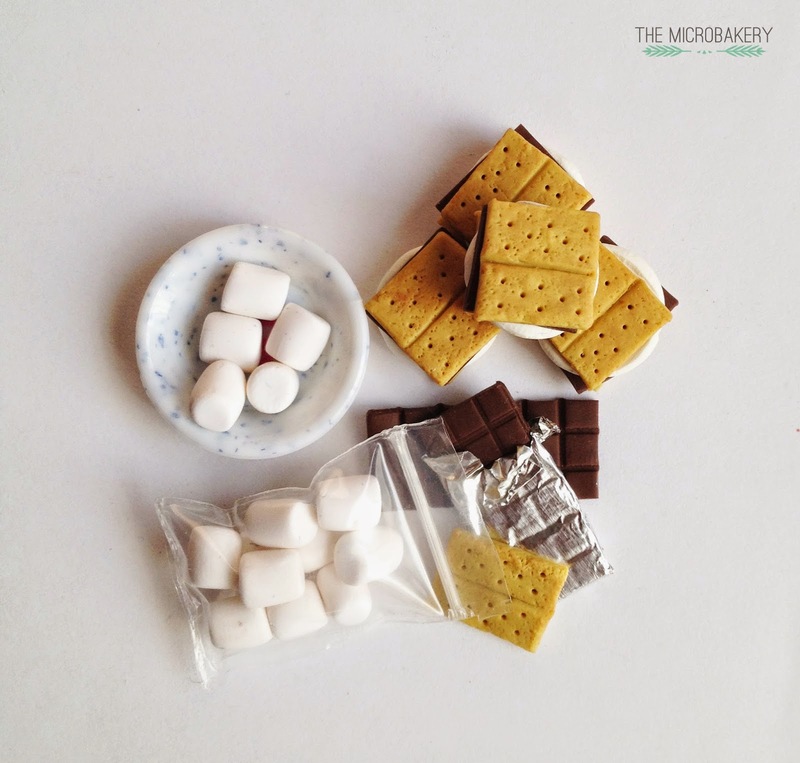 You can leave a comment with a link to your photo or tag me in your instagram picture(@TheMicrobakery). Enjoy! 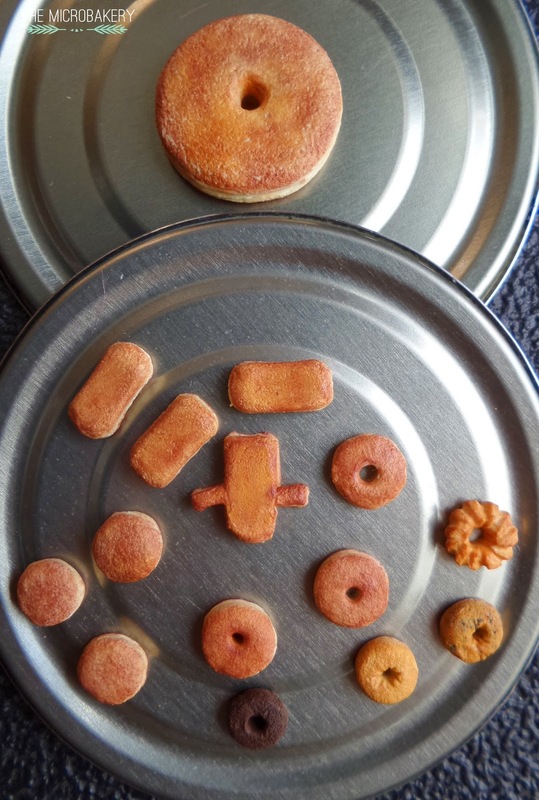 After my last doughnut catastrophe a couple of days ago, and my vow to take a long hiatus from these delicious fried eats, it's only appropriate that I tell my delusional self to make more. 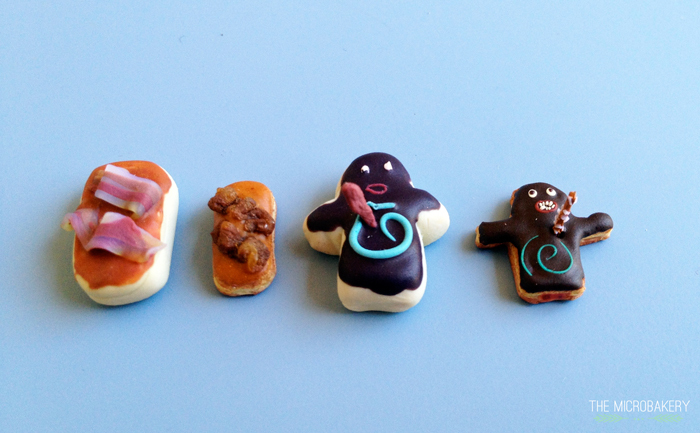 So in honor of one of my favorite cities, I am recreating some doughnuts from the infamous Voodoo Doughnuts. Right now I'm making all the different components so be sure to tune in next time with more updates of this work in progress. 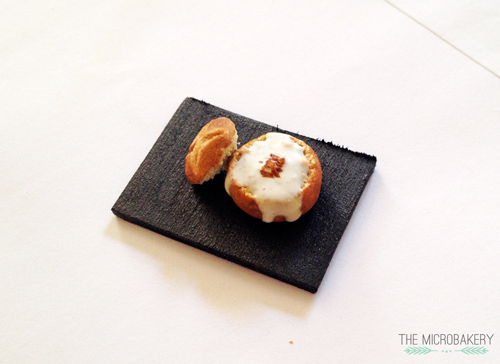 I prepared the doughnut "dough" by stacking three layers of polymer clay together with a lighter middle layer between two darker layers. Since doughnut bars were being made, I simply cut rectangles and then rounded the edges with my finger. Then I textured the bar with a toothbrush and shaded it to create a "baked" effect. 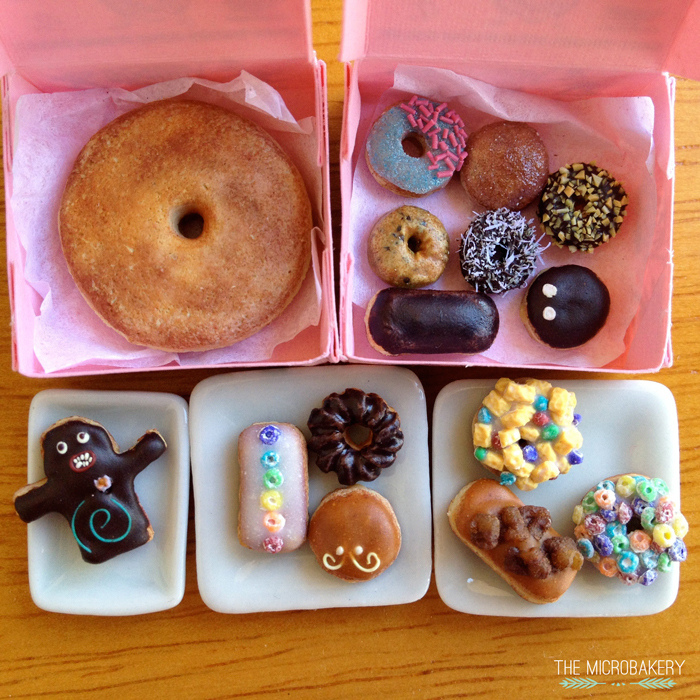 It was so tough deciding which doughnuts to recreate! Originally I picked only five, but somehow ended up choosing to make 15 different kinds. 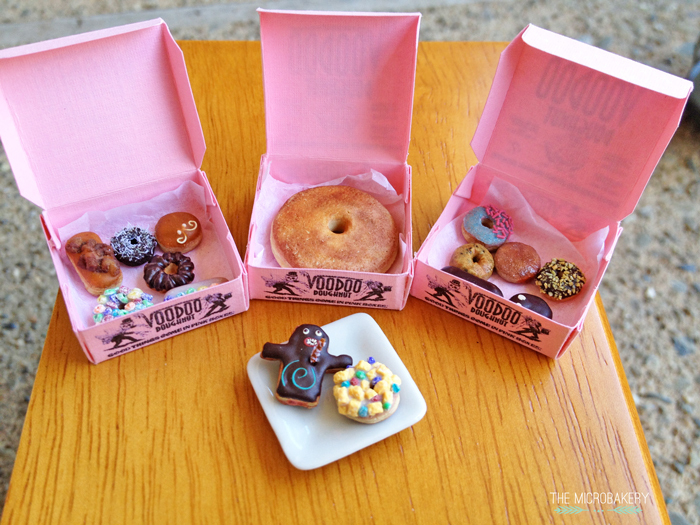 If you're familiar with Voodoo Doughnuts, then I'm sure you'll recognize some of the famously shaped ones. 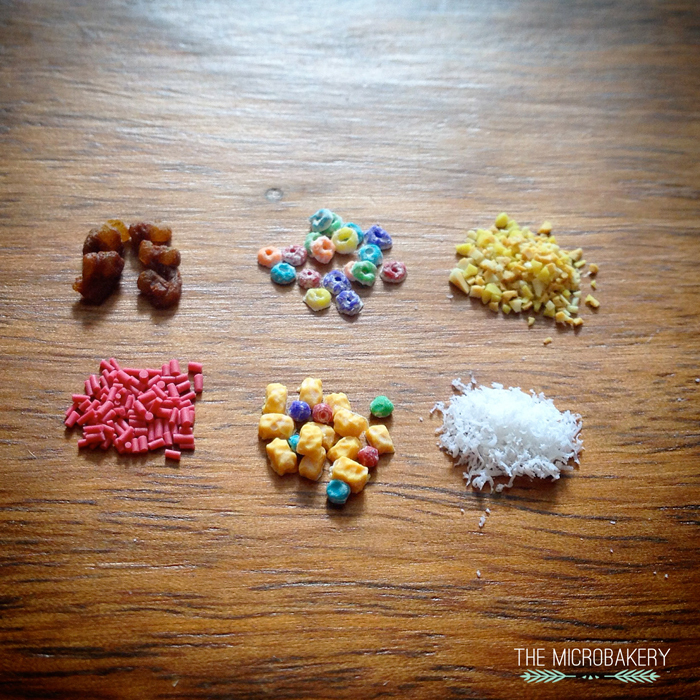 Here are cereal toppings for two of the doughnuts. 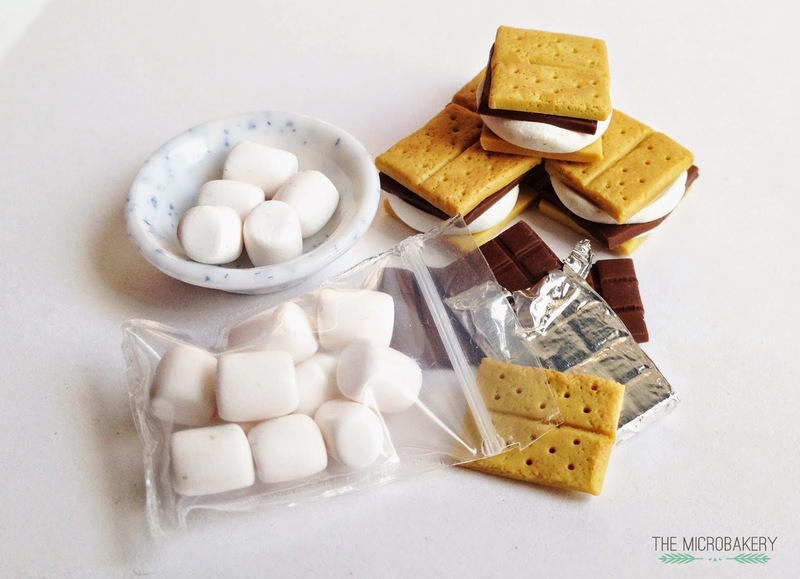 I still need to make some of the other toppings; you'll see that in my second series post. 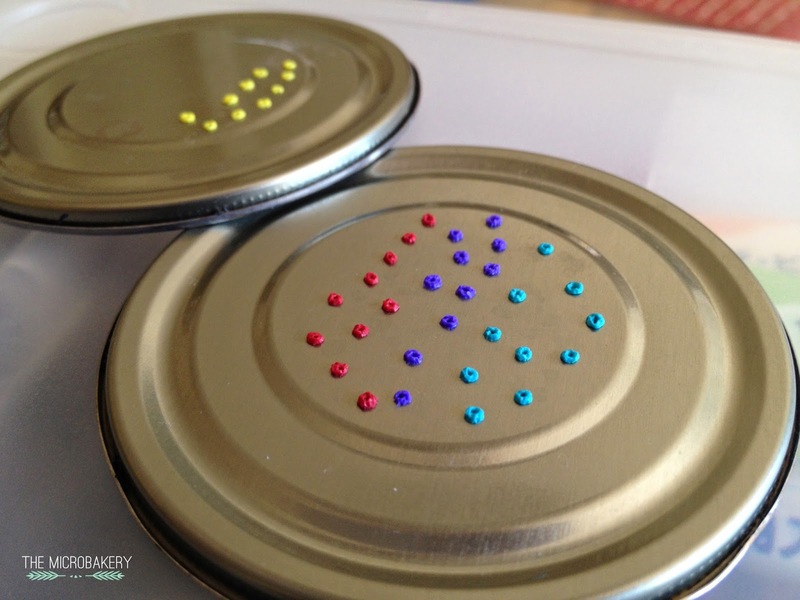 I will also be making another post for a Fruit Loop tutorial which should be up within the next day or two. 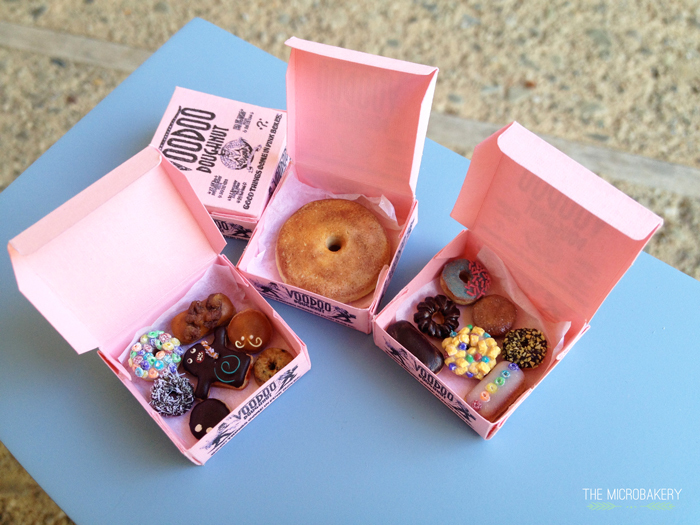 Lastly I created some miniature pink pastry box templates in Photoshop to store the finished doughnuts. I still need to cut, fold, and glue the boxes together. The base of the box is 1in.x1in. There is still a bunch of work left to do, but this project is really fun so stay tuned for part 2! I've only had this blog and other various social media sites for a very short time now, and have been loving every minute of it! 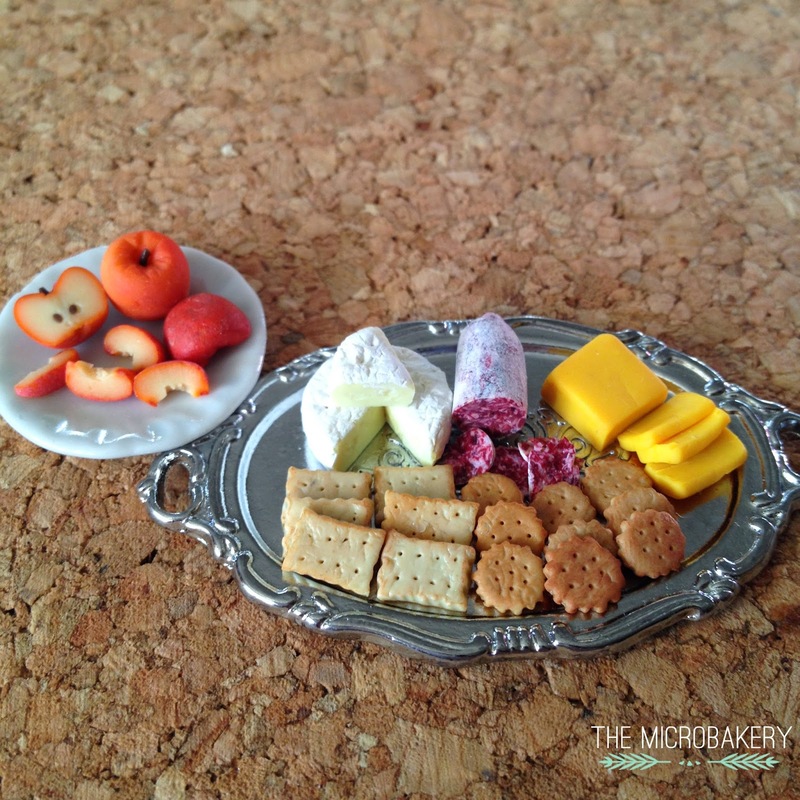 It's been great to share my miniatures with a community that also has a great appreciation teeny tiny food. 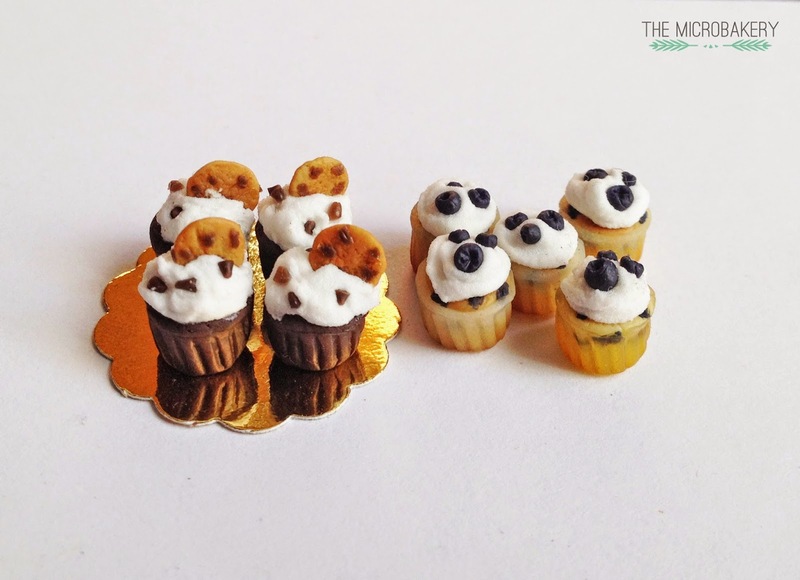 Before I started the blog I had already created a few miniatures, and despite the fact that they are "decent" I will still share them with you (even with my "meh" attitude towards them). Ok, to be truly honest, the first clay miniatures I ever made are too embarrassing to show because I was just starting out. Let's just say everybody has to start somewhere... If I do decide to remake an old miniature, I'll be sure to do a before and after progression shot. Tip: Never varnish with clear nail polish like I did with the chocolate cake. Nail polish will eventually break down and crack over time, ruining all your hard work. To try and conceal the mistake it was varnished a second time with Triple Thick Glaze. 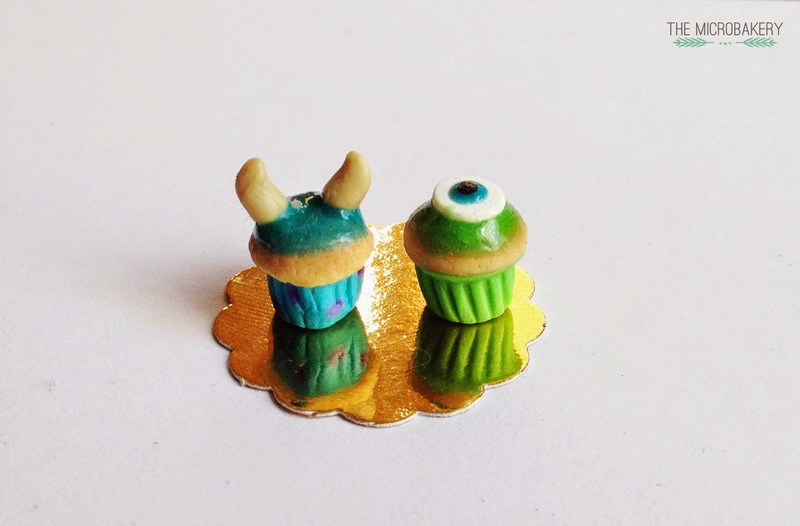 Monsters, Inc. Mike & Sully cupcakes! There are probably other miniatures that I'm missing, if I find them I will add them to this post. This weekend I thought it would be a fun idea to make some doughnuts. Here are two pictures I found inspiration from. I first made the doughnuts which started to look better after adding some pastel shading and texture. But after making them all, it started to go downhill quickly. I was a bit frustrated because I knew making sprinkles and toppings for the doughnuts would take forever, and it most certainly did. 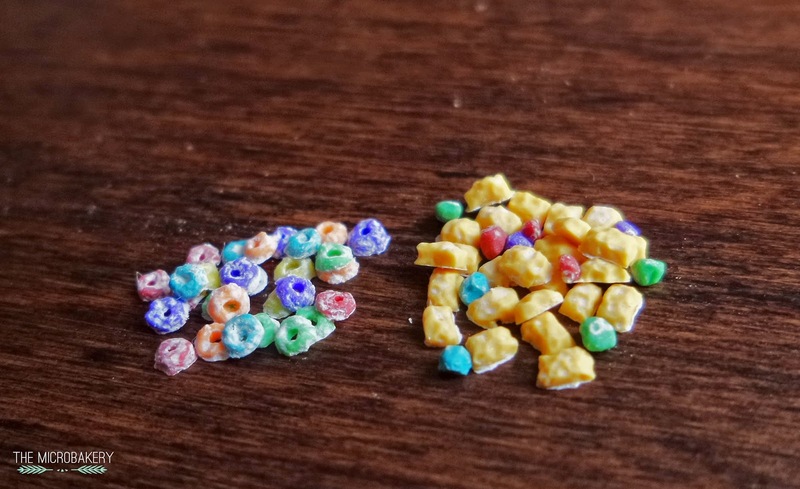 Sitting in front of the TV for a couple of hours, I hand rolled canes of itty bitty thing polymer clay, baked it, and then cut it up. It took 7 hours... The most frustrating part was when rolling out the canes of clay, because they were so incredibly thin, the clay would just stick to your fingers and end up deformed. Ugh. 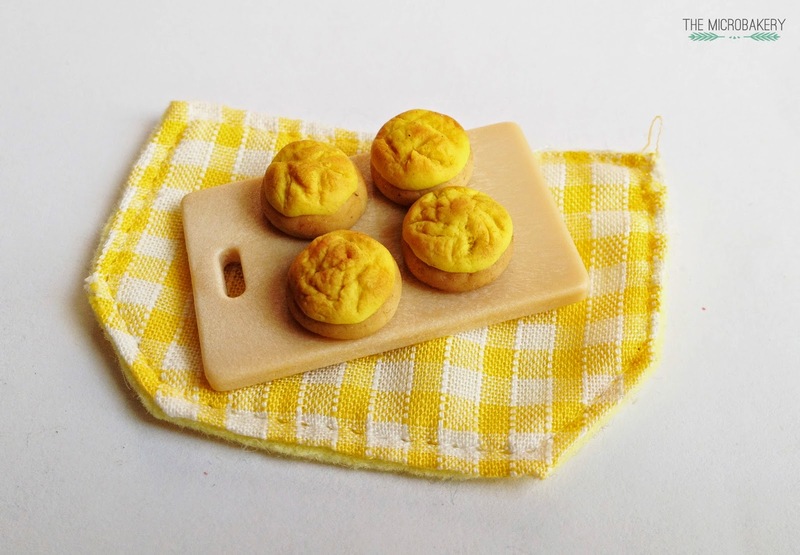 Welcome to The Microbakery! 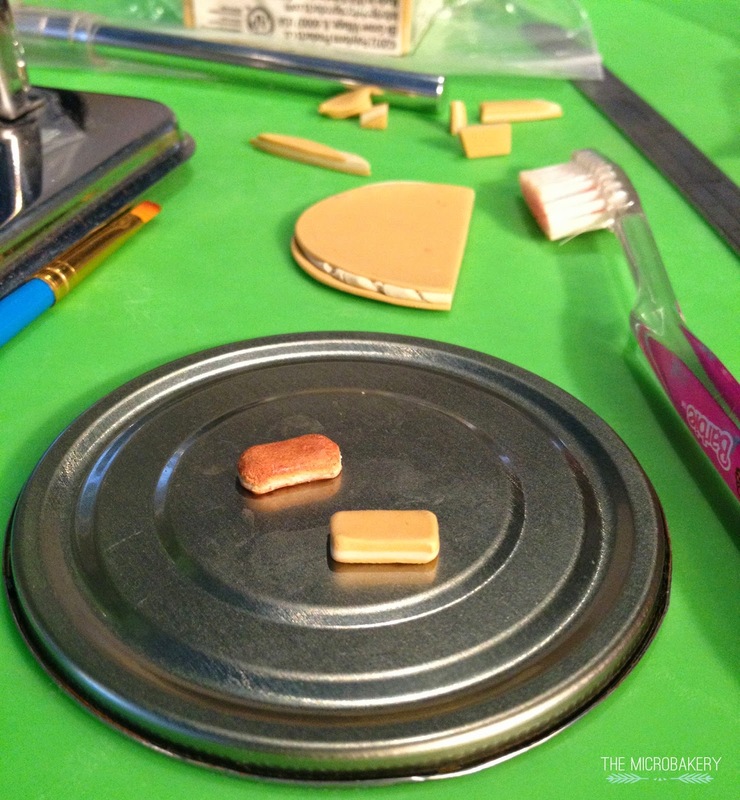 This blog was created to document my tips, tutorials, and works in progress with 1/12th scale miniature making. The name is a play on the whole "microbrewery" and "microcreamery" trend and represents two things. 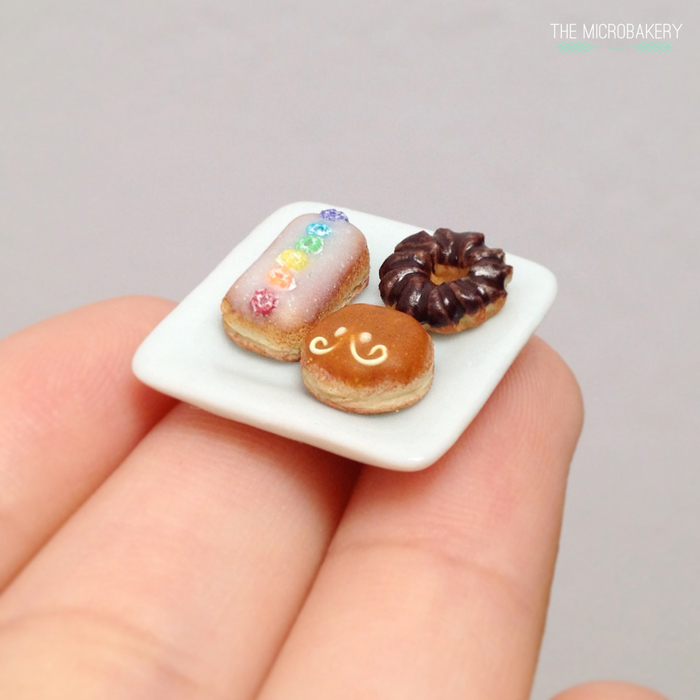 Not only does "microbakery" refer to a small artisan bakery shop, but I also make micro-sized (well, to be technically accurate, it's really a whole order of magnitude bigger haha) food. 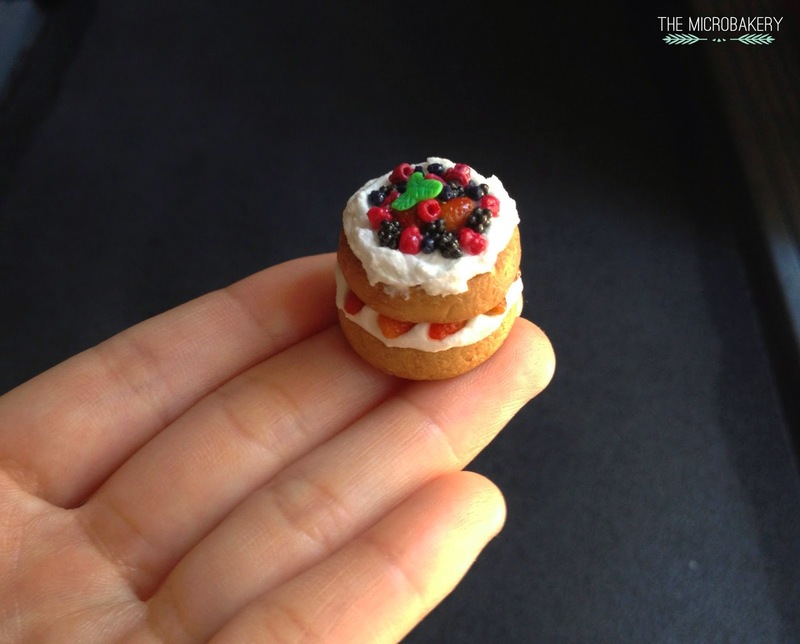 I've always loved miniature things, however I'm relatively new to the world of miniature making. So please bear with me as I learn new techniques and slowly update the blog.